Intellectual Property Law expert, Dr Luke McDonagh, examines the issues at stake ahead of a City Law School panel discussion about Brexit and the future of patent law and innovation in the UK. 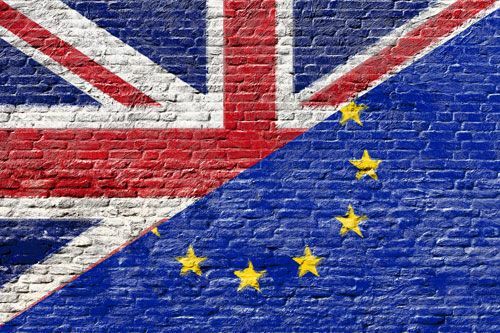 One of the most pressing questions that remains unresolved regarding Brexit and IP concerns a centrepiece of EU innovation policy – namely, the ongoing process for setting up a single unitary patent (the EP with unitary effect) and a Unified Patent Court (UPC) common to participating EU member states (including, at least for now, the UK). To try to shed some light on this issue on February 8th at City, University of London, I will participate in a public debate on the UPC, which also acts as the book launch for my recent monograph European Patent Litigation in the Shadow of the Unified Patent Court (Edward Elgar, 2016). The panel discussion will be chaired by Dr Siva Thambisetty (LSE) and will feature comments by Professor Sir Alan Dashwood (City Law School), Professor Panos Koutrakos (City Law School), Georg von Graevenitz (QMUL) and Catriona Hammer (CIPA). The UPC’s judges, which will include UK and other European judges, will have jurisdiction to hear patent disputes and issue remedies to litigants that are binding within an area covering almost the entire EU. This is a huge change from the awkward present system, which requires national litigation in each individual member country. So far, 25 out of the 28 EU member states have agreed to join the UPC, with Spain, Poland and Croatia the only ones not participating. Until the Brexit referendum, the UK seemed to be well on the way to full ratification of the UPC. Indeed, for the past four years the UK government has been making plans to host one of the new court’s central divisions in Aldgate, east London, where a building has already been leased in preparation for the new court’s establishment and mock trials have taken place. What is crucial in the Brexit context is that even though the UPC will have its own jurisdiction to rule with respect to most patent issues – like the infringement of patented drugs – it must defer to the CJEU in a small number of areas of EU law, such issues arising under the Biotech Directive or matters relating to Supplementary Protection Certificates. In line with this, the CJEU in Opinion 1/09 held that only states that accept the supremacy of EU law and the jurisdiction of the CJEU may sign up. It is here that UK Prime Minister Theresa May’s recent speech on Brexit - she reiterated her vow that the UK would, post-Brexit, escape the jurisdiction of the Court of Justice of the European Union (CJEU) – becomes important. Furthermore, the same claim is in the government’s new Brexit White Paper, entitled ‘The United Kingdom’s exit from and new partnership with the European Union’. Leaving the jurisdiction of the CJEU, along with the promise that the UK will leave the single market, and probably the customs union, strongly suggests that the UK is on a path to a “hard Brexit”. 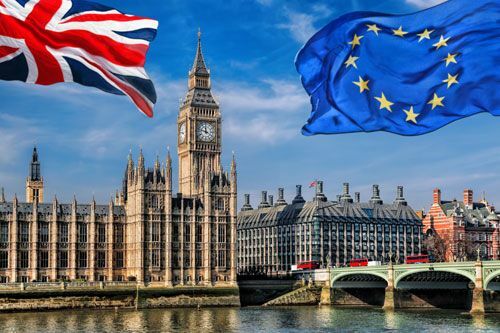 Nevertheless, there is much we still don’t know about what the final agreement between the EU and UK will look like – May’s speech and the White Paper are probably best seen as the first steps towards what will be a difficult negotiation process. Understandably wary of the ‘cliff edge’ problem - a hard Brexit with immediate effect in 2019 or 2020 – there is a real possibility of a lengthy transition phase when EU law could still apply. At the same time, if the UK is indeed intent on a “hard” Brexit it’s difficult to see how the UK could participate in the UPC, which requires accepting that the decisions of the Court of Justice – in patent law, at least – will be binding with respect to UPC decisions enforceable in the UK. Yet in November 2016, several months after the EU referendum result, the UK government announced that the UK would ratify the UPC Agreement after all. Furthermore, in January 2017, a mere few days prior to May’s speech, the new UK Minister for Intellectual Property, Jo Johnson, stated that the UK still intends to participate in the UPC, emphasising that the UPC is an international court rather than an EU one. The UPC is now expected to be up and running by December 2017. Though the decision to go for the twin strategy of a hard Brexit while maintaining UPC ratification at first appears to make little sense, on further contemplation there may actually be some method behind it. In the new Brexit White paper (2.7-2.10) the government suggests that the creation of new dispute resolution panels or tribunals will be necessary to determine questions arising out of whatever agreement the UK and EU reach upon Brexit. The point made by Jo Johnson about the UPC being an international court, not an EU one, may not be mere rhetoric – it may actually indicate that the UK is willing to accept the jurisdiction of international courts or tribunals, like the UPC, to determine specific legal questions - e.g. patent matters - that are common to the UK and its ‘new partnership with the European Union’ (Brexit White Paper). In this respect, the UK government may consider that although the UPC is bound by rulings of the CJEU on a number of EU-related patent matters – and UPC decisions on patent injunctions and revocations will be binding within the UK - this is a very different situation that currently exists under the sweeping jurisdiction of the CJEU, whose decisions can have the effect of immediately changing UK domestic law in a wide range of different areas. If this is the UK government’s view then UK UPC ratification makes a lot more sense. Indeed, the UK may even see the UPC as a model for the kind of specialist commercial court – maintaining a direct but limited link with the CJEU and the wider EU economy – that it would be willing to tolerate in its purported new ‘partnership’ with the EU. Of course, we don’t know whether the EU would be willing to accept these kinds of bespoke arrangements, but the UK’s own intentions may be becoming a bit more clear. One final point – the fate of the UK’s continued participation in the unitary patent scheme remains less certain. The UP, unlike the UPC, is created by an EU regulation, and there is no way to consider it a purely ‘international right’ (although the existing EP granted by the EPO would fit this definition). Accepting the UP would require a more extensive assessment of EU law and as yet the UK government has not given us any clues as to its intentions. It remains possible that the the UK – post-Brexit – will stay within the UPC but not the UP.